Africa is generally warm climate and does not have much participation in winter sports. 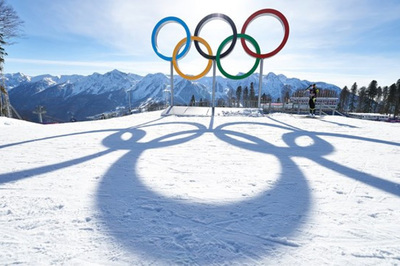 Out of the 54 countries on the continent, only 13 had previously ever made it to the Winter Olympics.This year's Winter Olympics games 12 athletes from eight African countries participated.This brings the overall number of African countries ever to compete in the Winter Olympics to 15, with Nigeria and Eritrea making their debuts. The entire world's attention has been on South Korea, where the world's best athletes have been competing for glory in the Winter Olympics. But it is not just those winning gold who have captured our imagination. As with every Olympic Games, support for the underdog has crossed borders. In Pyeongchang, those underdogs have, by and large, come from African countries - perhaps unsurprisingly. After all, Africa is not known for its snow and ice. It helps that many have inspiring stories of overcoming the odds to make it to South Korea; stories which many hope will inspire other athletes to follow in their footsteps. The Nigerian bobsleigh team has been a particular favorite, the echoes of "Cool Runnings" - the Jamaican bobsleigh team which fought their way to Calgary in 1988 - ringing strongly in fans' ears.